In 1994 he started his professional studies at the Instrument Maker Teaching Class at the Ferenc Liszt Academy of Music in Budapest. In 1998 he founded his own workshop where he mainly deals with making and restoring mastercellos. In order to improve his professional knowledge he has visited, and worked in several european and american workshops, where he could acquire the most ideal settings of the instruments and also some little tricks to find their perfect tone from experienced, world famous masters. 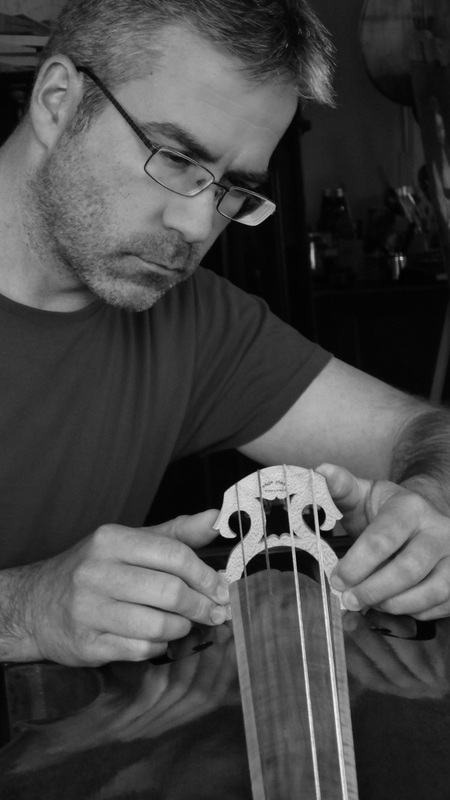 He makes and restores modern and baroque cellos as well. NETHERLANDS, 2525 NC Den Haag , Parallelweg 44. HUNGARY, 2142 Nagytarcsa , Bocskai utca 77.